As a result of irreconcilable differences between the board of Phoenix and the local management, Phoenix Commercial Ventures Ltd has terminated its association with Hana Electronics JVC with immediate effect. Hana Electronics JVC was a 50/50 joint venture between Phoenix Commercial Ventures Ltd and the trading department of The Ministry of Culture. Phoenix has no further connection with Hana or any interests (direct or indirect) in its operations. Phoenix Commercial Ventures Ltd is pleased to announce that it has reacquired the Sinji brand, trademark and associated intellectual property rights. Sinji JVC was a 50/50 joint venture between Phoenix Commercial Ventures Ltd and the Taegyong Economic Group. Phoenix’s share in the company was sold to a third party in November 2010. Sinji (pronounced “shinjee”) was a lieutenant of Tangun, the first king of Korea in around 3,000 BC, and his mission was to relay communications between the king and his people. In the absence of a written script, he invented one. Sinji dates from ancient history, all Koreans will recognise the name. Sinji symbolises the human intellectual, and he can be considered to be the original Korean IT developer. Phoenix Commercial Ventures Ltd will issue further updates as to the intended future operations and direction of the newly acquired Sinji brand. Here is a PDF with more. 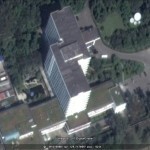 Pictured Above (Google Earth): The Taedong Credit Bank offices at the Potonggang Hotel. See in Google Maps here. The Board of Daedong Credit Bank is pleased to announce that the foreign shareholding in Daedong Credit Bank has been sold to a Chinese based corporate entity, the “Nice Group”. The foreign-appointed directors on the Board of Daedong Credit Bank have resigned with immediate effect, and have no further interests (financial or fiduciary) in the company. “I am now heavily involved with a second joint venture company in the DPRK, Hana Electronics JVC. Established in 2003, this company has enjoyed solid commercial success and has recently opened its new headquarters building, together with the expansion of its business lines. The success of both ventures has been such as to necessitate a decision to focus on one or the other, and a commercial decision had to be made. The bank is continuing to enjoy the commercial success it has seen for the past 16 years, but ironically the decision has been made easier by the general sanctions-laden environment in which financial business here is framed these days. Both Hana Electronics and Phoenix Commercial Ventures bank with DCB, and will continue to do so. The wealth of experience garnered over Daedong Credit Bank’s 16 years of successful operation is unrivalled. Daedong Credit Bank was the first, by fifteen years, foreign majority held bank in the DPRK. DCB is proud to be regarded as a flagship successful joint venture in the DPRK, and a key part of the infrastructure needed to assist the foreign-invested joint ventures, which contribute to the country’s economic development. The bank’s principal function is to offer normal “high street” banking facilities in hard currency to foreign companies, joint ventures, international relief agencies and individuals doing legitimate business in the DPRK. Daedong Credit Bank was the first bank in the DPRK to introduce, and vigorously implement, a comprehensive set of anti-money laundering procedures. DCB’s anti-money laundering procedure manual was introduced eight years ago, and subsequently updated based on anti-money laundering guidelines provided by the Asian Development Bank. The manual has been sent to, and accepted by, DCB’s international correspondent banks. Daedong Credit Bank also maintains strict procedures for the detection and rejection of counterfeit bank notes; it uses regularly updated note checking machines, and has personnel with over 15 years of experience of handling notes. Daedong Credit Bank is strongly positioned in relation to the future economic development of the DPRK, and, being the oldest established foreign invested commercial bank in the DPRK, it is the intention of the bank to capitalise on these advantages. 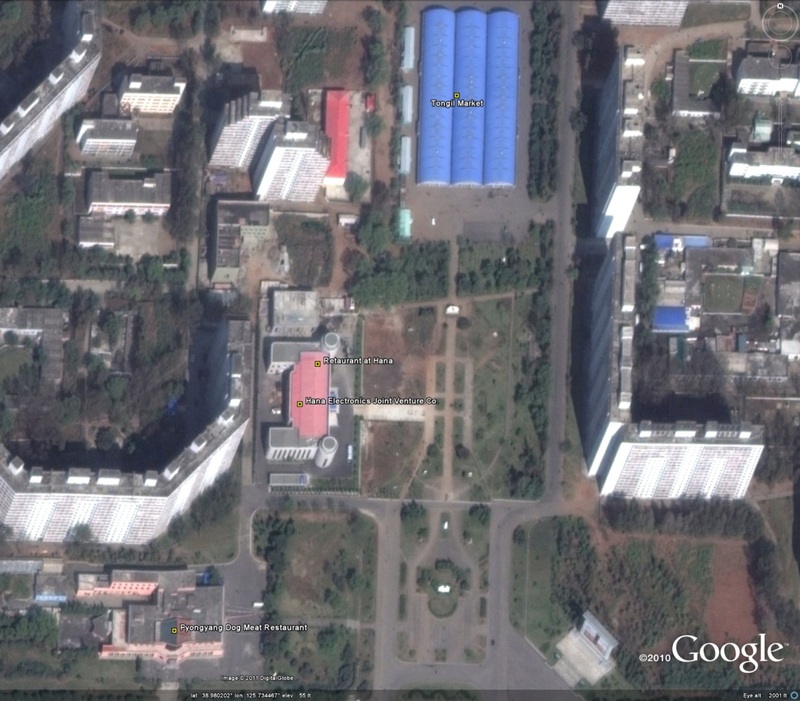 Pictured above (Google Earth): The recently completed Hana Electronics and restaurant building in Rakrang-guyok (락랑구역). See in Google Maps here. The restaurant (which comprises a main dining room and several private ones) and leisure facilities are open to locals and foreigners alike. Food for the restaurant is sourced from local markets. 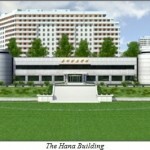 •	Hana intends to diversify and expand their range of products. 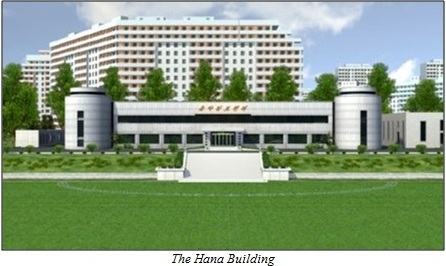 •	Hana moved into its newly constructed building, next to the T’ongil Market, in Q1 2011. •	Hana has also opened a restaurant (“The Restaurant at Hana”) and leisure facilities (including a swimming pool) in its new building. The restaurant and leisure facilities are open to locals and foreigners alike. eleROM, Sinji JV Group and Phoenix Commercial Ventures Ltd are proud to present learnwithelsi: an innovative new web-based e-learning platform. * Additionally there are a host of other features; documents can be managed, online exercises created, learning paths created, group work coordinated, assignments produced, forums developed, agendas set, announcements can be made and statistics can be monitored. Sinji ’s and eleROM ‘s experience in software and e-learning guarantee the quality and reliability of the product. Additionally, learnwithelsi comes with 24 hour support. Unlike other e-learning platforms, learnwithelsi is offered directly to training institutes for them to create their own courses; thereby enabling them to concentrate on the content of their courses, without having to worry about the technology. The product follows the philosophy of SAS (software as a service). You don’t need to install anything on your server. You need only an Internet connection to use the platform. Further system and functional enhancements will be made, eg as from November the video lecture can be recorded and stored for future access. You can try a sample course on the learnwithelsi platform by clicking here. (login: sample, password: course). Here is a PDF of the press release. My colleagues and I are directors of a number of businesses (Phoenix Commercial Ventures) that have been based in the DPRK (aka North Korea) for a number of years. Goldman Sachs is correct to highlight the upside of business opportunities with the DPRK. The DPRK (North Korea) represents one of the last “green field” economies in the world with exceptional investment opportunities. As such it provides an unparalleled opportunity for business professionals who know and understand the risks, the people and the country. As estate agents are fond of saying, it is a case of “location, location, location”. The DPRK (North Korea) physically borders Russia, China and ROK; as such it is in a prime location in this most important of trade routes. Additionally, its location in Asia Pacific gives it access to one of the world’s wealthiest and most vibrant regions. 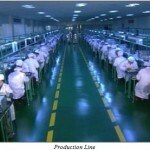 The DPRK has abundant mineral resources including; coal, gold, magnesium, nickel, copper, graphite, nephelite, zinc etc. The total value of which is estimated at being around $2.5 Trillion (IHT 21 Dec 2007). The DPRK has a well educated (99-100% literacy), intelligent, hard working population whose wage rates are highly competitive. The DPRK has a forward looking environmental policy that offers green investors opportunities to generate environmentally friendly power for supply locally and export elsewhere. The recent improvements in geopolitical issues demonstrates that the time is right, in terms of historical context, for progress to be made with regard to the DPRK entering the world financial community and to benefit from world trade. It is not difficult to set up shop, if you approach the DPRK with a well thought through serious business proposal/well researched business plan and are a professional with reputable/professional local contacts. 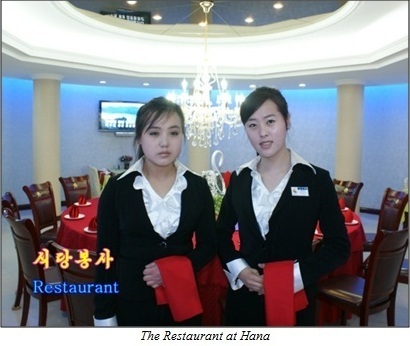 It should be emphasised that businesses in the DPRK are no more fond of having their time wasted than businesses anywhere else in the world, local businesses having had their time wasted tend to prefer to deal with professionals that they trust. When setting up a business within the DPRK remember that you cannot manage solely by email and need people on the ground, as is the case with Phoenix Commercial Ventures. 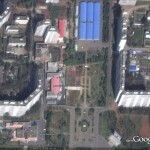 Organisations that do not have people on the ground in DPRK will fail. One of the major challenges facing a newcomer to the local market is a very practical one – how to find a way to balance the need for pre-start-up feasibility studies requiring possibly large amounts of information from the local Korean partner, against the need to demonstrate to the local authorities that the investor is serious. There have been many cases over the years of potential foreign investors making promises they cannot fulfil, and the Koreans have consequently become somewhat sceptical. It is therefore essential to promise only what you know you can deliver, and to deliver within the timeframe agreed. The DPRK Government is actively encouraging foreign investment in areas such as mining, energy, agriculture and IT. The DPRK is also undertaking small experiments with free market economy principles that would have been unthinkable a couple of years ago. There are now 24-hour stores operating in Pyongyang, several places providing computer access and a series of adverts on the TV. There are a number of misconceptions harboured by some in the West about doing business in the DPRK. The one that we most frequently encounter is that people do not believe that it is possible, as a Westerner, to set up and run a company in the DPRK. This is patently untrue, the DPRK allows Western companies to set up and run joint ventures (JV’s) with a majority shareholding, with local partners and to remit profits; the government encourages foreign investment. 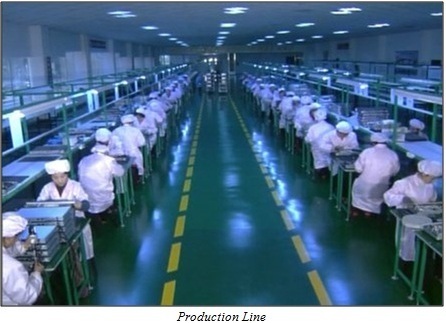 One of our (Phoenix Commercial Ventures Ltd) aims is to demystify the business environment, demonstrate that people can make successful and ethical joint ventures in the DPRK that provide a decent return, employ local people, engage with local professionals; thereby encouraging others of good repute to come and do the same. Another misconception is that communications from outside the DPRK with people working in the DPRK are impossible. This is untrue. I can call via phone and email my colleagues directly from London. Starting and running a JV in the DPRK requires the same approach as it would in any other country – it is the fact that it is a JV that is important, not that it is in the DPRK. That means you have to have the good judgement to size up and choose a good partner with whom you are going to work well together, but then you have to do just that – work well together, with emphasis on each of those words. If you start a joint venture where you are always suspicious of the joint venture partner, then you shouldn’t have started the JV in the first place, it will never succeed – that is exactly the same in any country. It is absolutely essential to have resident foreign management, a joint venture cannot be run remotely from abroad. The quality of, and relationship with, the local staff is essential; as is that of the foreign management. The aim of the JV should be to bond the personnel into an independent unit, who are striving for the success of the JV, and to remove entirely any idea of ‘our side’ and ‘their side’ within the JV. “The North Korean economy does not seem about to collapse” (contrary to what many might think). 1. As time goes by we are likely to see “the development of an uneasy coexistence with the US”. 2. There are some signs of improvement in the North Korea’s economy, thanks to recent reforms. The growth will remain very slow, but the regime has built in “coping mechanisms” that will prevent collapse. It turned out that he wanted his photo taken. The above may not seem much of an anecdote to those who have little understanding of the DPRK. However, those who do will realise the significance of that. We are also attending the current four day international trade fair which opened this Monday in Pyongyang, with 120 companies from the DPRK and 14 other economies taking part. The DPRK offers an unparalleled opportunity for business professionals who know and understand the risks, the people and the country. Since the reunification of West and East Germany 20 years ago, South Korean leaders and economists have convinced many people here that reuniting with North Korea will be costly and disruptive. In the latest gloomy forecast, a government think tank last month said that the tax burden ratio, or proportion of tax revenue to gross domestic product, would need to rise by two percentage points and stay that way for 60 years to pay for reunification. In the study released Monday, Goldman Sachs economist Kwon Goo-hoon says the risks of reunification need to be re-evaluated, particularly in the wake of the rapid development of countries like Vietnam and Mongolia that also had state-run economies like North Korea’s. His study contains North Korean data that he acknowledges may not be accurate and assumptions about future behavior that may not pan out. Even so, its tone is more optimistic than previous studies that contributed to South Koreans’ ambivalence about unification. In an interview, Mr. Kwon said he believed for a long time that unification would be too costly for the South. He based that view largely on what happened with the newly united Germany, where the currencies were quickly equalized, the border opened and huge transfer payments made from the former West to the former East Germany. In March, the Bank of Korea published a report that said Hong Kong’s gradual integration with China beginning in 1997 and France’s handling of its former colonies after World War II were better models. Both that study and Mr. Kwon’s suggest the two Koreas maintain separate currencies and restrict crossings at the inter-Korean border, perhaps for decades as North Korea’s currency appreciates and its people grow wealthier. Mr. Kwon’s study goes several steps further by suggesting that the huge growth potential of North Korea could help offset the slowing growth of South Korea, which is burdened by limited natural resources and a fast-aging population. By contrast, North Korea has huge mineral deposits and a population that is younger and growing twice as quickly as South Korea. Using long-term growth forecasts Goldman Sachs has previously published for industrialized countries, Mr. Kwon concluded that the gross domestic product of a united Korea would be the world’s eighth-largest in 2050 at $6 trillion, surpassing France around 2040 and Germany and Japan later that decade. Today, South Korea’s GDP is about $800 billion and North Korea’s is believed to be around $20 billion, though no data has been collected inside the North since the 1960s. Some economists believe its economic output is considerably less, while others note that most estimates tend to leave out the North’s well-known illicit activities such as narcotics production and currency counterfeiting. Nearly all previous economic reports on Korean unification focused on the costs that South Koreans will face and ignore or play down investment and business opportunities that may also occur. Mr. Kwon said the tone of the discussion will change as economic and demographic pressures grow in the South and he wanted to produce an analytical framework ahead of that. Lots of North Korean economic info here. Among the foreign companies attending the 11th Pyongyang Spring International Trade Fair in the DPRK last week was Phoenix Commercial Ventures Ltd. Representatives from Phoenix Commercial Ventures attended the fair and manned a stand representing member companies of the European Business Association in Pyongyang, together with members of the management team from Sinji JVC and Hana Electronics JVC (joint venture companies formed with Phoenix) and Daedong Credit Bank – Phoenix’s banking partner in the DPRK – (since 2000 Daedong Credit Bank has been 70% owned and managed by a company run by professional fund managers. The remaining 30% is held by Korea Daesong Bank). Nigel Cowie (CEO of Phoenix, General Manager and CEO of Daedong Credit Bank and Vice President of the European Business Association) said: “The trade fair provides an ideal venue and opportunity for companies to showcase their products and services, as well as providing an excellent networking opportunity. Phoenix Commercial Ventures and Daedong Credit Bank are proud to have participated in this regular event, which provides a springboard for economic development and growth”. An extensive gallery of photos from the trade fair can be viewed on the Phoenix website. From May 12th to the 15th, North Korea held the eleventh annual Pyongyang International Summer Product Exhibition in the Three-Revolution Exhibition Center. The trade show hosted over 180 foreign businesses, making it the largest convention to date. Companies from North Korea, China, Taiwan, Russia, the Netherlands, Germany, Syria, Switzerland, Australia, England, Italy, Spain, Vietnam, Thailand, France, Finland, and several other countries participated in the show, displaying a wide range of manufacturing machinery, electrical and electronic equipment, conveyor systems, petrochemical materials, medical supplies, daily necessities, foodstuffs, and other goods. With more than 120 Chinese companies and more than 30 vendors from Taiwan, North Korea’s largest-ever convention was host to over 50 vendors more this year than the previous record of over 130, set last year. With a large-screen television positioned at the entrance of the hall displaying multimedia advertisements and a range of large-scale billboards and advertising displays for North Korea’s domestic companies set up around the exhibition center, there was also a distinct sense of commercialism in the air. In particular, there were several booths selling the wares of large Chinese industries, as well as several affiliates of the Haier Group Co. Ltd., representatives from TCL Electronics Co. Ltd. , sales staff from China Hong Kong Manufacturers Co. Ltd. and other main offices directly participating in the event. The Pyongyang International Product Exhibition has been held in the summer annually since 1998, and since 2005, a convention has also been held each fall. You are currently browsing the archives for the Phoenix Commerical Ventures category.